Hope you are enjoying the fashion content lately, I'm really getting back into fashion. I felt like I was in a bit of a fashion rut for a few months but I'm back :) Have you read some of my recent posts?Adding bright colours to your wardrobe and casual January street style with the baker boy hat. The transition out of winter and into spring can be hard but white is definitely a colour that can carry you through this time! It's bright and goes great with almost every other colour, win win! 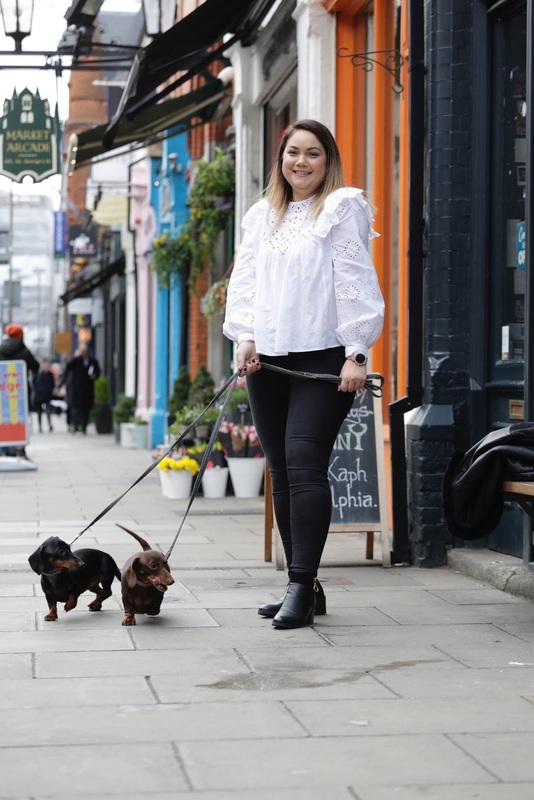 Some of the links in this blog post are affiliate links with RewardStyle, I earn a small amount of commissions from the programme but it doesn't cost you anything else to shop through my links. I just love to share some of my favourite pieces with you all. Top H&M - Shop here. Jeans Skyfall - Shop here. Boots River Island (on sale) - Shop here. Watch Michael Kors Smartwatch - Shop here. Bag Michael Kors - Shop here. 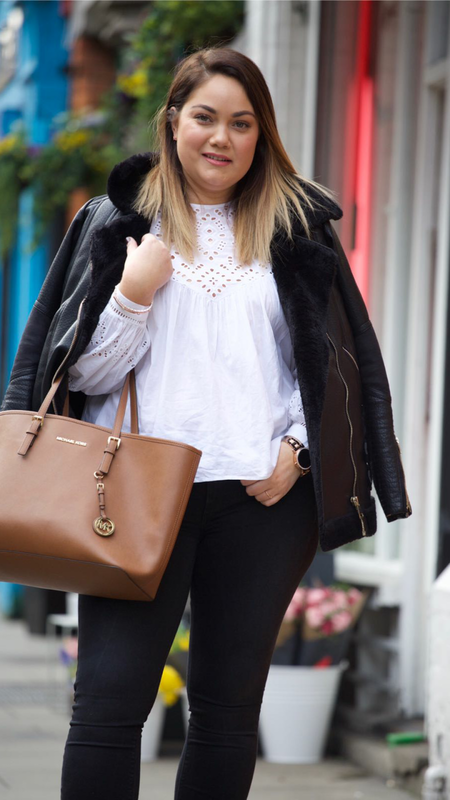 A crisp white shirt is a staple in any wardrobe. It is a classic piece that goes with everything, you can dress it up or down. 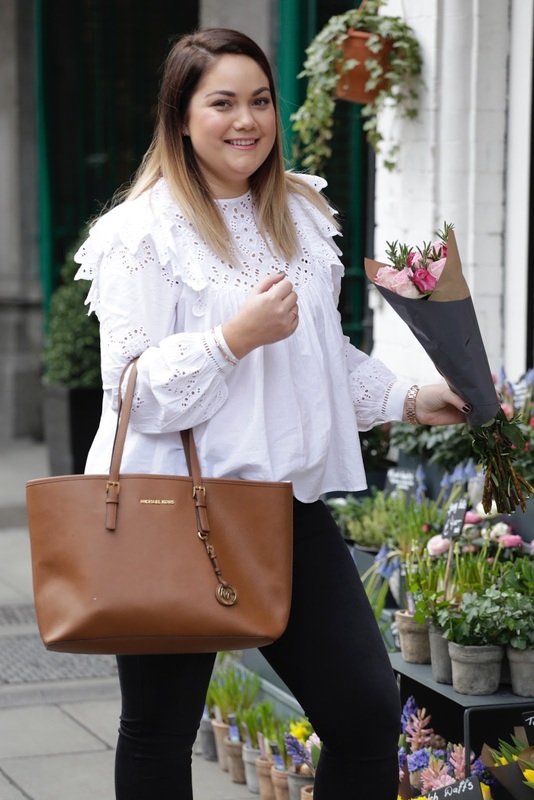 Let's take a look at making the white shirt style your own this spring with white tops, t-shirts and adding a hint of colour or detail to make the look your own. This is all about rocking white, brightening up your wardrobe for the transition between winter and spring while looking forward to summer! 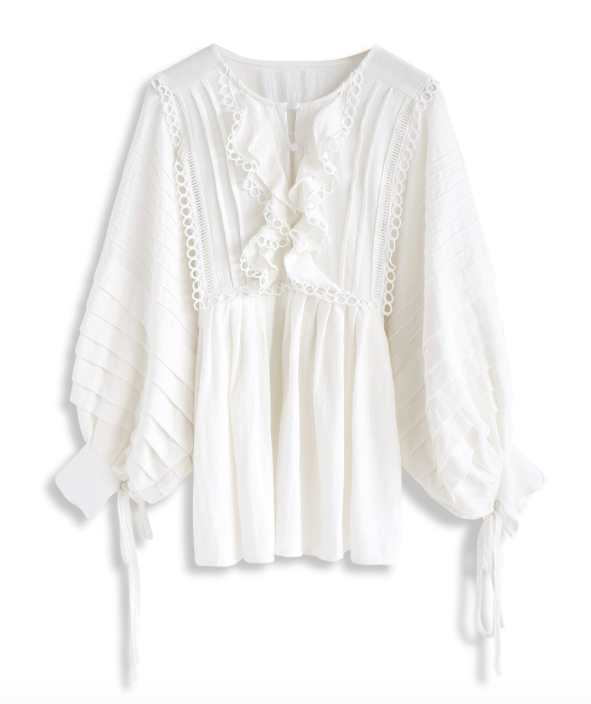 This stunning ruffle detail blouse is such a statement piece & could be worn day or night! Shop here. 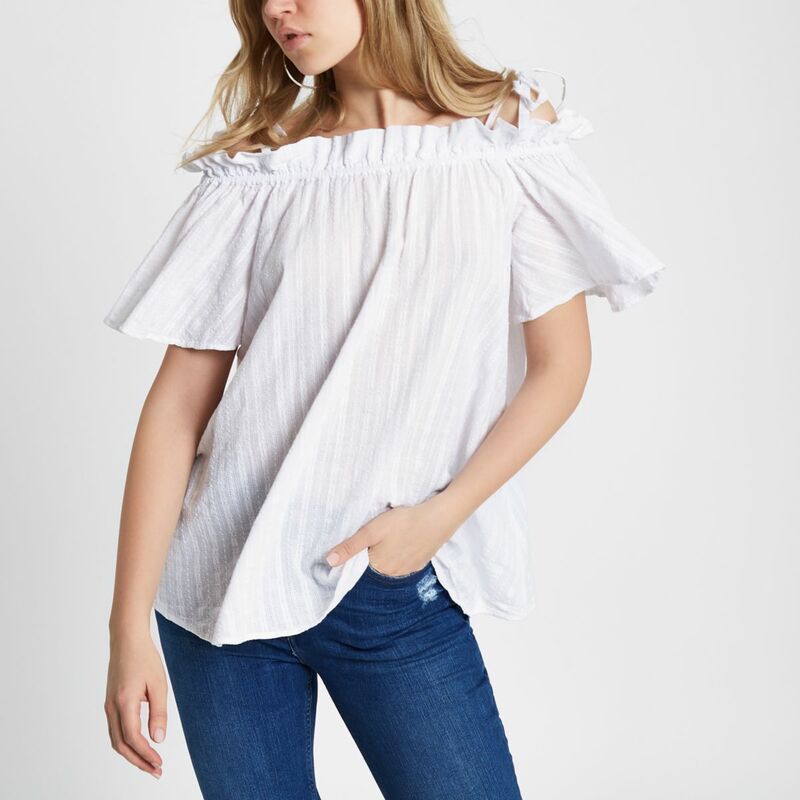 This top is super light and flowy, it comes up high enough to feel comfortable and has cute bow detail straps, ideal for summer! Shop here. 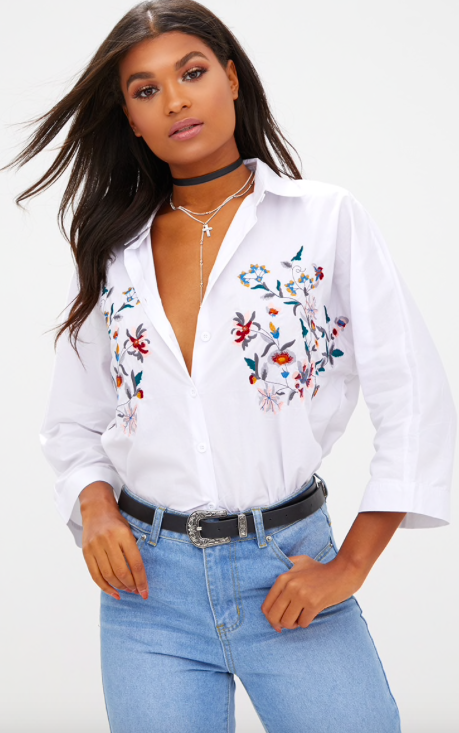 Crisp and colourful, this shirt looks gorgeous tucked into mom jeans especially light wash jeans for spring! Shop here. 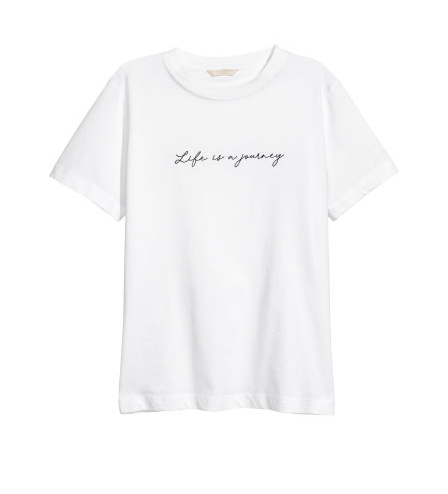 Keep things super simple with a plain white tee - the writing is so chic and pretty. Shop here.